At Eventfull we are marked by interesting and exciting events created by Event planners for you Consumers to attend. Eventfull creates the right stage for Event planners to give life to their events through its event management, marketing ticketing and registration services. Our services transcend borders and is enjoyed by all and sundry, but to effectively provide our services to users i.e Consumers and Event planners, we collect certain personal information which you provide to us and this has made it compulsory for us to tell you what types of information we collect from you, how we collect this information and what we do with this information. 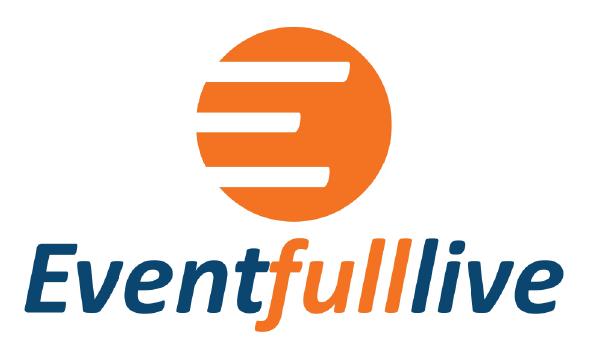 When in doubt or if dissatisfied and in need of further clarification, do not hesitate to ask your questions by sending us an email at info@eventfulllive.com. We would definitely respond to you to clear your doubts or answer your questions. At A Glance – Users provide their personal information when they sign-up for our services, send us emails or contact us through our contact form. At Eventfull, users are classified into three categories namely Visitors, Event planners and Consumers. AS A VISITOR: When you visit our site, but you do not register or sign-up for our services, yet you contact us through our contact form for more inquiries on our services or any other related issue or you send us an email, you provide us with and we collect information such as your name and email address. AS AN EVENT PLANNER: When you sign up for our services and utilize our services you provide us with, and we collect personal information from you such as your name and email address. Additional information such as your credit card information for example credit card number and billing address is also collected when you pay for our services. Also, when you receive your payments from Consumers for your events through us or our payment services or payment dispensing services, we request that you provide us with and you provide us with your bank account information, physical address to send checks and your tax payer identification number as well as your identity validation i.e identity card. AS A CONSUMER: When you visit our site and register or sign up in order to access and utilize our services you provide us with your name and email address. When you register to attend a paid event, you provide us with additional information such as your credit card information, billing address and identity validation. Other times, Event planners might create an event registration section for consumers in relation to an Event planner’s event published on our site. Eventfull does not collect the information provided on the event registration section of Event planners and accordingly have no control over such information be it personal or otherwise. Such information is collected and disclosed to the Event Planner for the services for which you subscribed to. At A Glance – We use technology to collect information about your device and behaviour on our site. When you access or use our site, some information are collected mechanically from your device such as cookies, web beacons and other related technologies. Kindly read our cookies policy, to know more about cookies and how we use them. A web beacon or tracking pixel is a rich graphic image that is delivered through a web browser or HTML e-mail, typically in conjunction with a cookie. Web beacons permits us, for example, to monitor how users move from one page within our platform to another, to track access to our communications, to understand whether users have come to our platform from an online advertisement displayed on a third-party website, to measure how ads have been viewed and to improve site performance. Access and usage to certain features of our platform enables us to automatically collect certain information such as user's geographical location, i.e. country, region, city, latitude & longitude of city, ZIP code, time zone, connection speed, ISP, domain name, IDD country code, area code, weather station code and name, mobile carrier, elevation and usage type information using a proprietary IP address, mobile device GPS, log data, unique identifiers and device information. If you do not wish us to collect this information, you should deactivate or otherwise control the use of location service through the settings feature of your device. Eventfull also collect information related to your search on our site including content viewed, events you have registered for and other interactions on our site. In the course of providing our services to you, we might receive users personal information from third party sources such as social media, banks in respect of credit cards, service providers such as billing services and other third parties. At A Glance- We use your information primarily to provide our services to you i.e Let you create an event or register for an event or market your event or manage your event. To guard us, our customers, employees or property — for instance, to investigate fraud and prevent duplicitous activity, harassment or other types of illicit activities involving us or other companies that we do business with and to enforce this Policy. At A Glance – Eventfull will only share or disclose your personal information for a genuine reason. We disclose and sometimes transfer your personal data to third parties who are affiliated with us or our service providers who provide billing services, email services to us. Your personal data is also disclosed and shared with the Event planner whose event you have registered for. Also, as an employee of the Event planner on our site, your personal data is shared and transferred to your employer- the Event planner. To safeguard us and others – we may divulge your information when we believe it is necessary to investigate, prevent, or take action regarding illegal activities, suspected fraud, situations involving potential threats to the safety of any person, violations of this Policy, or as evidence in litigation in which we are involved. For marketing purposes- With our service providers and our partners – to market our services; and with third parties for joint marketing purposes. In response to legal proceedings or regulatory authorities – to comply with the law, a judicial proceeding, subpoena, court order, or other legal process. At A Glance- You might elect to link your Eventfull account with a third-party site. At A Glance- There are certain instances when we have legal backing to collect and use your information. d) We have a genuine interest in using your information–for example, to provide and update on our Services or to provide an enhanced user experience. e) You have given us your consent–by way of example before we place certain cookies on your device and access and analyze them thereafter. At A Glance- You have a to right request for your information or ask us modify it or erase it. 1. You have the right to request for your data. You can ask Eventfull to confirm whether it is processing your data. You can also ask that we give you a copy of your personal information. 2. You have the right to request that your personal data is corrected if is erroneous. If we have shared the data with anyone else, we will notify them about the correction wherever possible. If we cannot attend to your request to modify your data, we shall inform you and explain the reason for our inability to modify the data. If we have shared your data with third parties, we will tell them about the deletion of your data except it is impossible. 4. You have the right to ask us to restrict the processing of your personal information. 5. You have the right to protest the processing of your personal information provided it is based on the genuine interests ground; or for the purposes of scientific/historical research and statistics. We shall respect your rights and adhere to your requests, except where is there is a valid reason not to do so for example institution of a legal action or defence of legal claims. You can ask us to stop using your data for direct marketing purposes. We will stop as soon as we receive your request. There are no exemptions or reasons for us to refuse. We will provide your data without charge in an organised, commonly used and machine-readable form. We aim to provide your data within 5 weeks of receiving your request except it is particularly complex or you have made several appeals, in which case we aim to respond within 3 (three) months. Where we cannot provide the data within the 5weeks stated above, we shall notify you. We keep your information as long as it is needed. We also keep your information according to the dictates of applicable laws or regulations and/or in accordance with our in-house policies and procedures for purposes of prevention of sham activities, illicit practices, risk management and security. We keep all information you provide to us on our secured servers. Any payment transactions will be encrypted using SSL technology. Where we have given you (or where you have chosen) a password which gives you to access certain parts of our site, you are responsible for keeping this password private. We ask you not to share your password with anyone. Unfortunately, the broadcast of information via the internet is not extremely safe. While we will do our best to protect your personal data, we cannot guarantee the security of your data transmitted to our Website. Thus, any transmission of data is at your sole risk. Once we have received your information, we will use restricted procedures and security features to try to prevent un-authorized access. This Policy shall be governed by and interpreted in accordance with the laws of the United States except those part of the policies which are applicable to EEA users which shall be interpreted in accordance with the General Data Protection Regulation law.